“My Nerdy Boyfriend” the Music Video is on YouTube today! Also on iTunes! 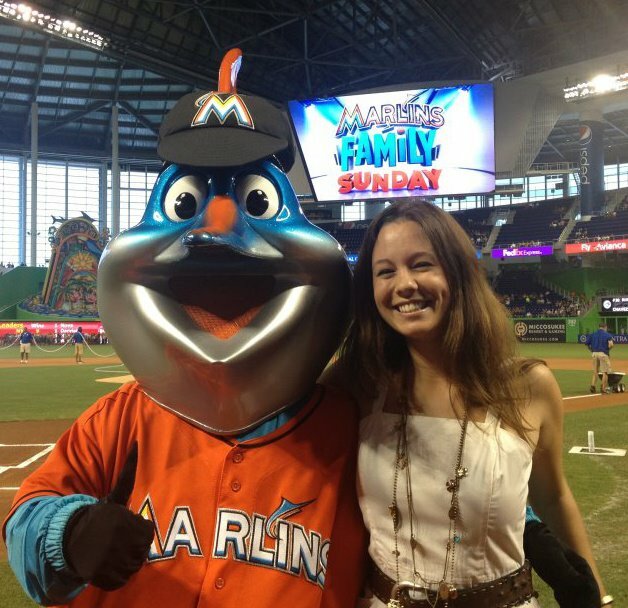 Thanks to the Florida Marlins for asking me to sing the national anthem! What a great day I had at the new Marlins Stadium in Miami! I’ve had the honor of singing the national anthem at two of their games at their last stadium, and now being at the shiny new stadium, well–it feels like we’ve arrived! If you haven’t been to a Marlins game this year, GET THERE! Whether it’s an afternoon game with the giant roof on, or an evening game with a great city view, the stadium is very nice. All the traditional festivities you want with baseball, with the extra excitement you’d expect in Miami!